Now that Christmas is over, stores are gearing up for Valentine’s day. While it still seems like a while away, we are also getting ready for Valentine’s Day at Mess for Less. In that spirit, the kids have been exercising their creative muscles by making fun Valentines crafts such as Valentine’s Day Cards Using Shaving Cream and Making Valentines Crayons. 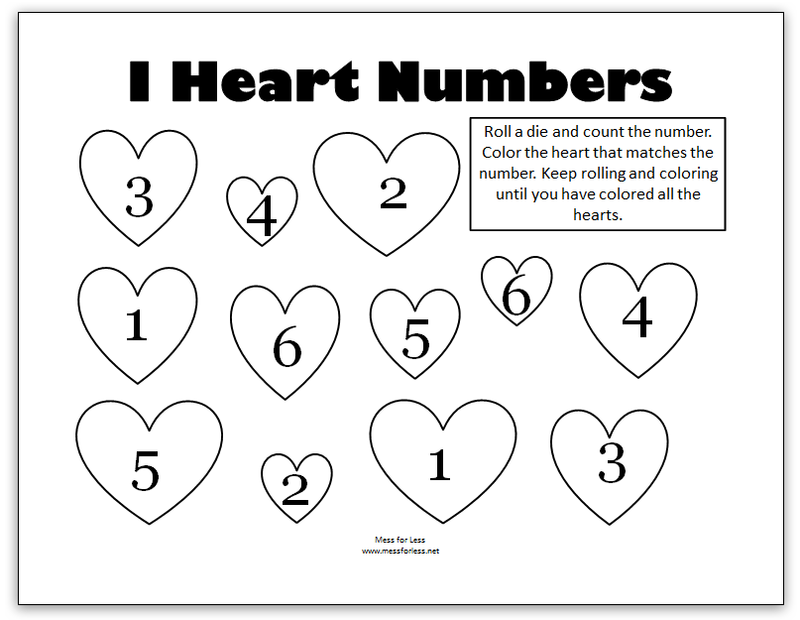 They have also been working on some Valentine’s Math with these free Kindergarten Worksheets. You can use these Kindergarten worksheets with kids in Preschool through First Grade. They will help kids learn valuable early math skills such as pattern making and identification, counting and number identification. Kids will love these Valentine’s Day printables! There are 3 free printables that you can download by clicking on the different links below. The offer kids a fun way to combine learning and play. The Valentine’s Math Kindergarten Worksheets are a great way to get kids interested in math and numbers. If you are looking for a fun and engaging way to keep kids passionate about learning, check out Groovy Lab in a Box. These boxes are presented in partnership with Popular Mechanics so you know you’ll be getting some great stuff each month. Kids will love Groovy Lab in a Box because it contains everything they need to do experiments focused on science, technology, engineering and math (STEM). Kids will get all the supplies they need to complete the activities in addition to a cool lab book.Subscribe here. They are perfect for my younger students! So happy to hear that Melinda!